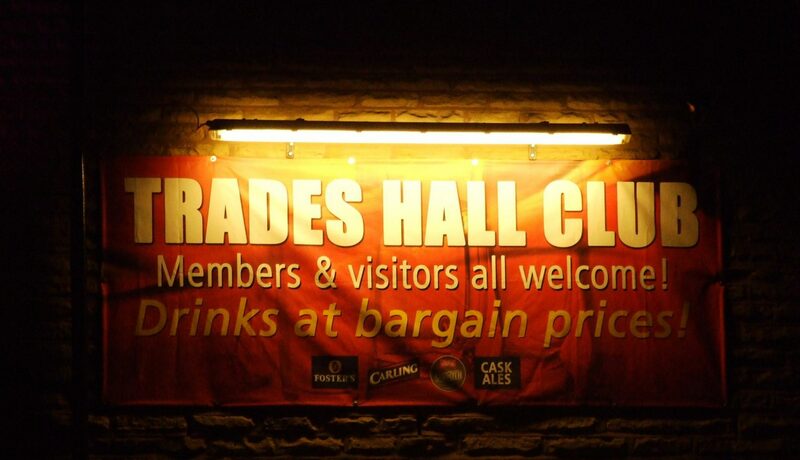 TRADES HALL HAS BEEN A VIBRANT PART OF THE BAMBER BRIDGE TOWN FOR MANY YEARS. IT IS A WELCOMING CLUB TO MEMBERS AND GUESTS WITH A VARIETY OF ACTIVITIES TO DO FROM MONDAY TO SUNDAY. WE ALWAYS WELCOME NEW MEMBERS TO WHICH THERE IS A FEE OF £5.00 FOR THE YEAR, RUNNING JANUARY TO DECEMBER. LIFE MEMBERSHIP COMMENCES ON YOUR 65 BIRTHDAY PROVIDING YOU HAVE BEEN A MEMBER FOR 10 YEARS UP TO AND INCLUDING YOUR 65th YEAR. WE PROVIDE A FULL FUNCTION ROOM FOR PARTIES AND HAVE LINE DANCING AND BINGO WITH ARTISTS TO HELP YOU HAVE AN ENJOYABLE EXPERIENCE.